COMIC STORY ARC: The Hatter M finale is spectacular! The Hatter M mini-series glows with brilliance! 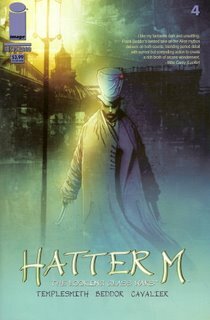 The incredible finale of the Hatter M mini-series based on the novel The Looking Glass Wars is Brilliant! 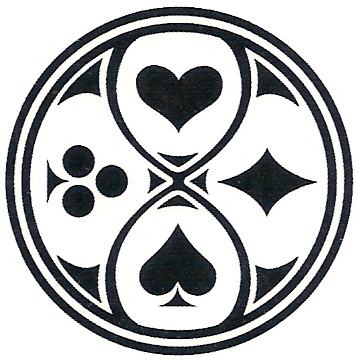 The title Hatter M is based upon the character Hatter Madigan the royal bodyguard of Princess Alyss. The comic book produced by Automatic Pictures and published by Desperado publishing and Image Comics sweeps the reader into the realm of fantasy. In Issue #3, a crucial part of the Hatter M mini-series, two deities scare the horse that Hatter M is riding. Hatter M falls and hits his head. The deity’s have the ability to see Hatter M’s thoughts while he is in a state of unconsciousness. Hatter M recounts how this extraordinary adventure starts from the universe of Wonderland starting with the coup by Aunt Redd and her followers; Cat (half-human and cat) and the treasonous Bitwit Harte. 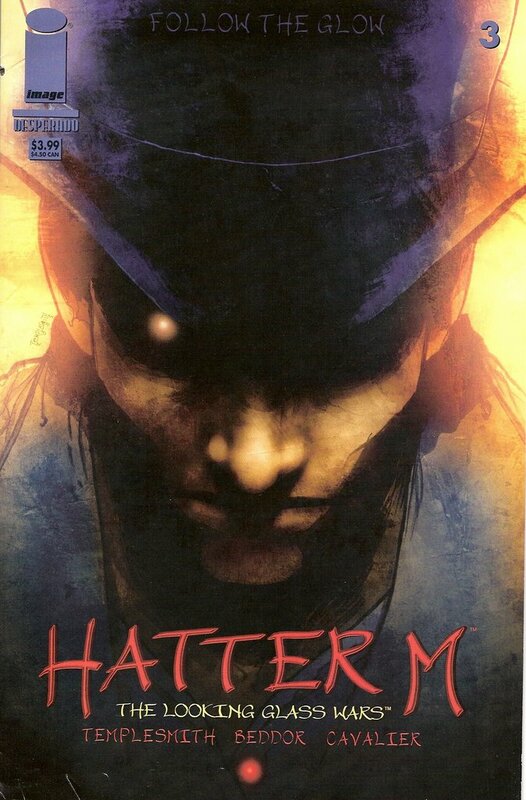 In issue #4, the final issue of the mini-series, Hatter M is in a battle to regain Alyss from the Baroness Dvonna; a suspect who may have kidnapped Alyss. The Baroness drains the white imagination from the minds of little girls at the Baroness’s Orphanage for missed children. The Baroness wants to stop the children from extending imagination to others, but instead she is putting the grain and thoughts of black imagination into the girls’ minds. This is an unprecedented tale of magical proportions. Hatter M has powers of teleportation and weaponry courtesy of his high topper hat and his fantastic cutlery of blades. On his mission, Hatter M has battled crazed zombies, weapon-carrying monkeys, and devout lunatics trying to find Alyss, capture her power of white imagination, and use it for there own purposes. As long as Alyss Heart emits her intense power of the glow, Hatter M will continue his duty to find her. The stories written by Frank Beddor and Liz Cavalier are passionate, adventurous, and filled with mystery, horror, and action. The artwork by Ben Templesmith promotes an exceptional presentation of the chivalrous Hatter M in his quest to find Alyss. The expressionism of the characters is subtle in some boards and explodes with distinction in others. I feel there is a presence of unmatched devotion and a glowing work ethic in presenting this mini-series. Hatter M: The Looking Glass wars is the best comic book series of the year! Do not miss your opportunity to be part of the glow.